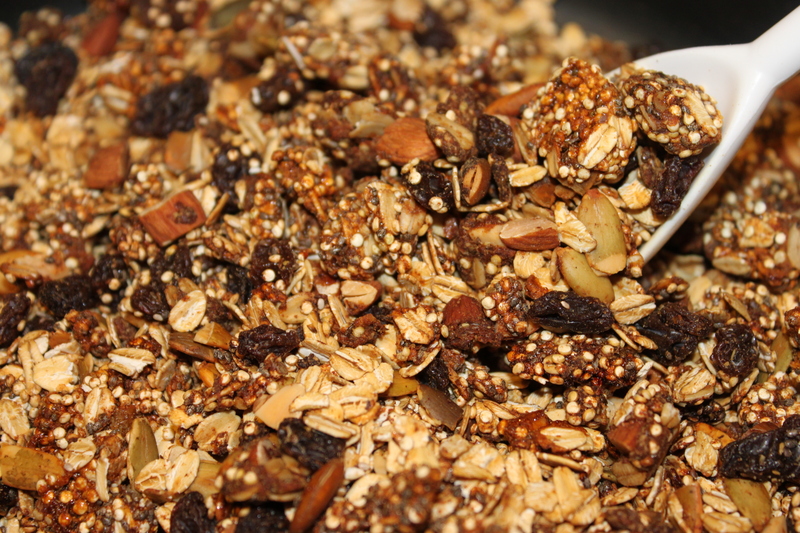 Granola: the tastiest thing created, ever, no joke. On the train today, I just needed some granola. 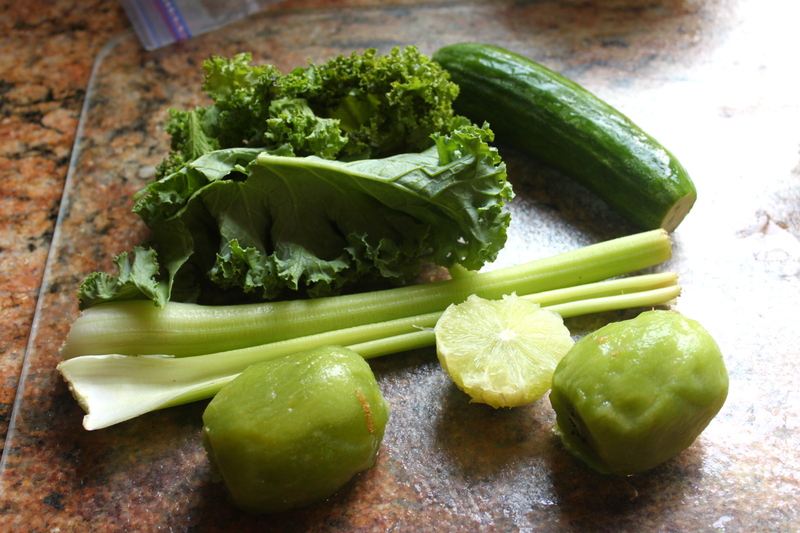 It was a terrible craving – I was feeling very lost without it, as sad as that sounds. I basically just love crunchy things so it was understandable. Well, guess what I decided to pop into the oven when I got home today! Some delicious, whole grain (shh don’t tell anyone that it’s so healthy), fruit and nut granola clusters!! 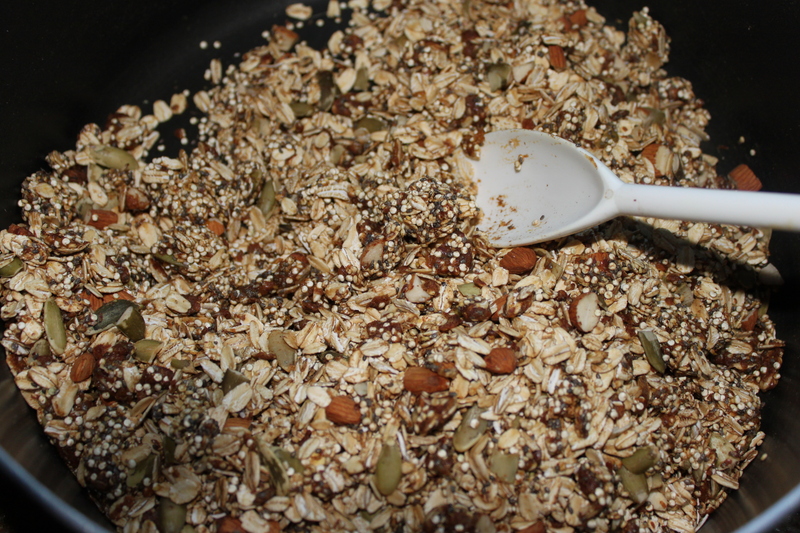 And, I used an additional secret whole grain just to make this granola a COMPLETE PROTEIN! Wooo 🙂 talk about awesome. 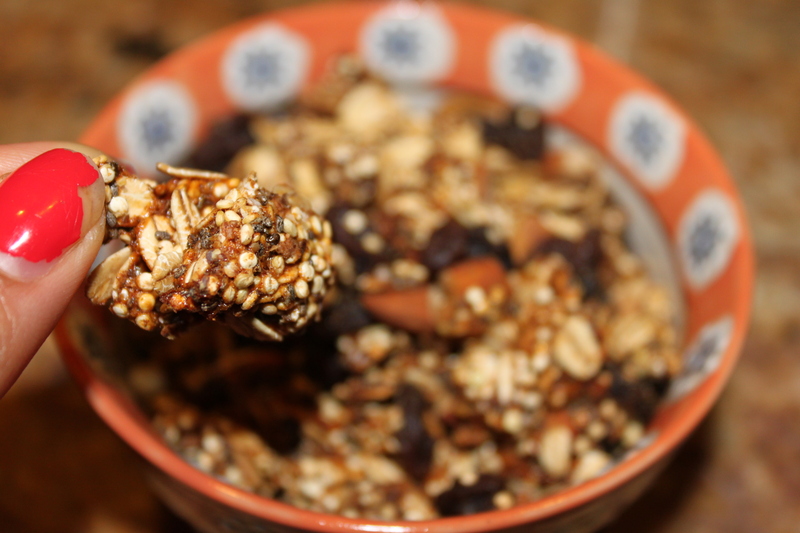 The granola clusters have the perfect amount of ginger spice to them, the dried fruit and barley syrup gives it some sweetness, while the nuts add some more crunchiness along with the toasted oats and quinoa! 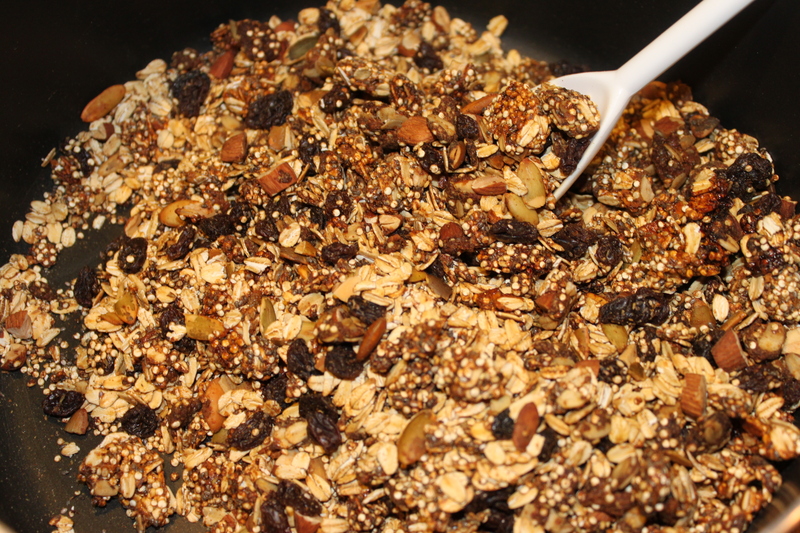 It’s really a perfect granola blend – simply delicious. Whenever you make a homemade lentil mix or granola, you need to have the following basic ingredients that I learned from Sally (here) and if you have them, you can literally make any flavor you want! This granola recipe is primarily centered around oats and quinoa, two whole grains that are high in dietary fiber and protein. In fact, quinoa is considered a complete protein, making this granola recipe just the perfect daily snack for anytime of the day! Oats have been proven to lower the risk of heart diseases, stabilize blood sugar and insulin levels, and reduce cholesterol. And, since these oats will be freshly baked, you will be getting the best of these benefits rather than only half of them, which is what you would get from processed granola. 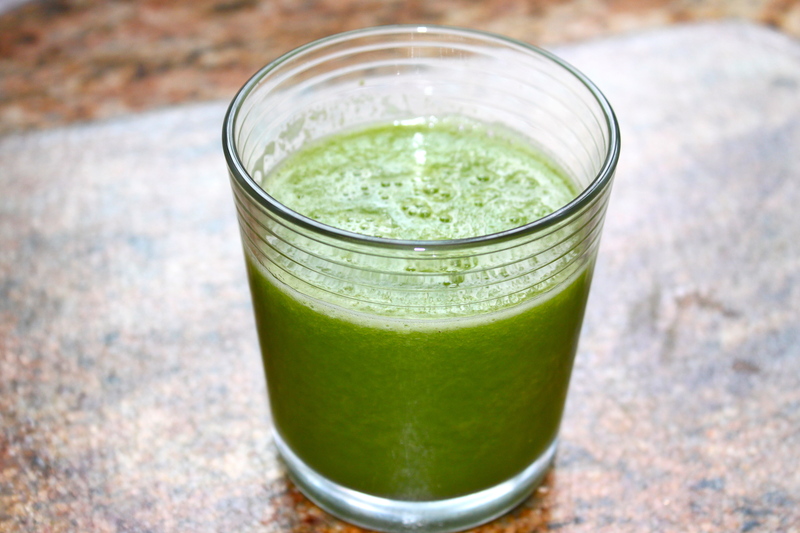 What could be healthier?! Moreover, if you noticed the ingredients list, I chose to use barley malt syrup as my sticky sweetener because this syrup provides more natural sugar sweetness to the granola and actually has an extra boost on protein! 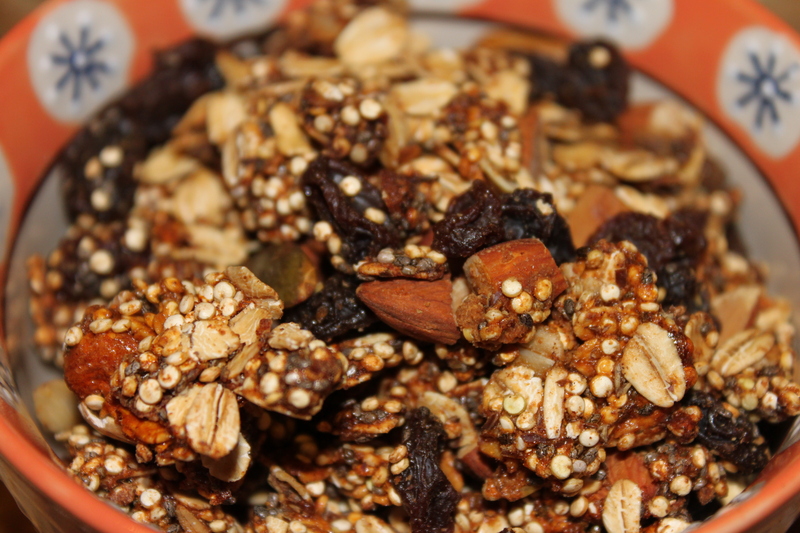 Even more, its robust flavor is delightful with the fruit and nut blend and its stickiness really helps to form the granola pieces into delicious, crunchy clusters. Yummm, I hope you enjoy! 2. 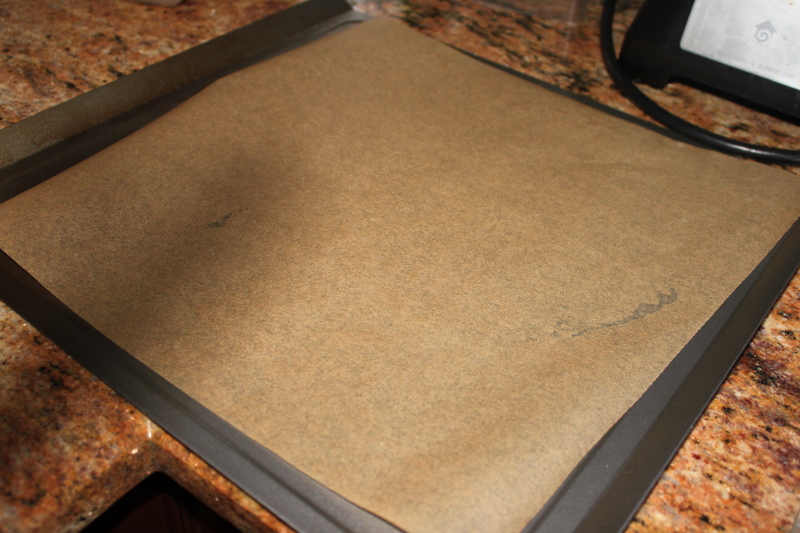 Line a large baking sheet with some parchment or wax paper. Or, use a baking pan and spray with PAM. 3. 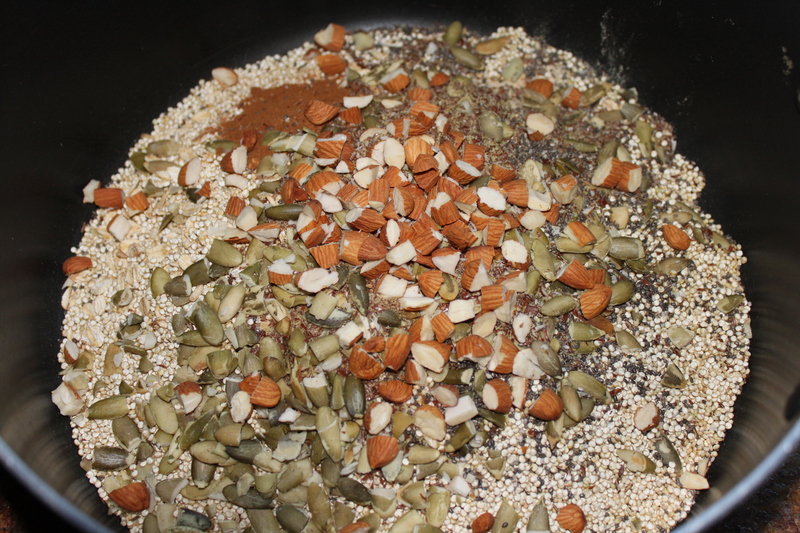 In a large mixing bowl, throw together the oats, quinoa, flax, nuts, cinnamon, and ginger. 4. 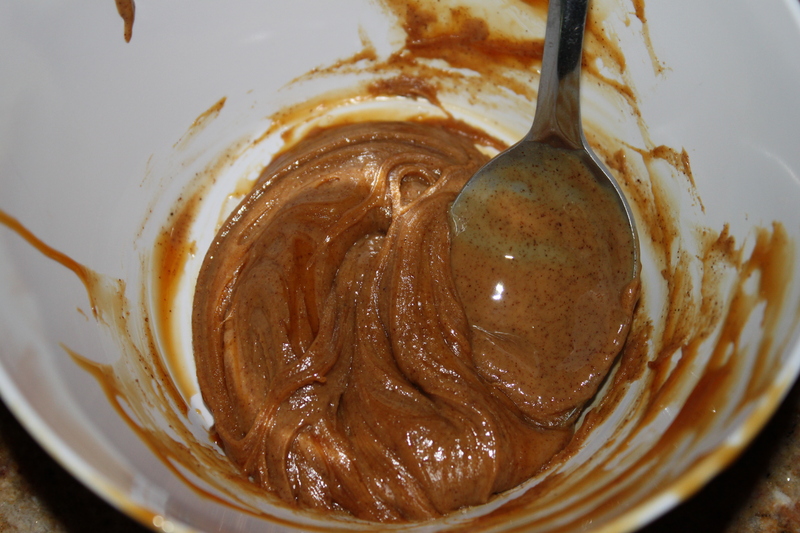 In another smaller bowl, mix together the almond butter and barley malt syrup. You want it to be a very smooth and liquid-like mixture so heat for 30 seconds if needed or add some more of each ingredient till you get the consistency you want. 5. Pour the melted almond butter and barley syrup mixture into the large mixing bowl and stir all of the ingredients together. You want the syrup to coat all of the oats and quinoa. 6. Spread onto the baking sheet and bake for ~ 15 minutes. 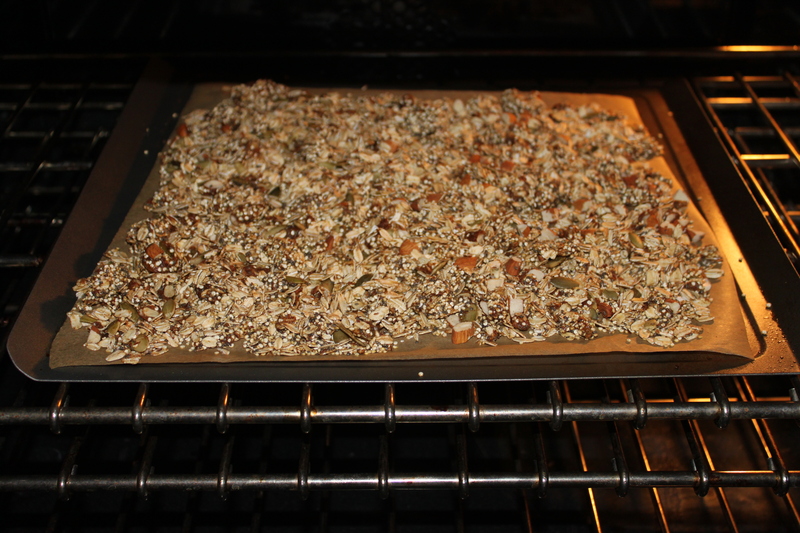 Remove and mix the granola around so you bake all of the sides evenly and don’t burn anything. Baking for another ~ 10 more minutes. I did my granola in two batches since it didn’t all fit on my pan. 7. 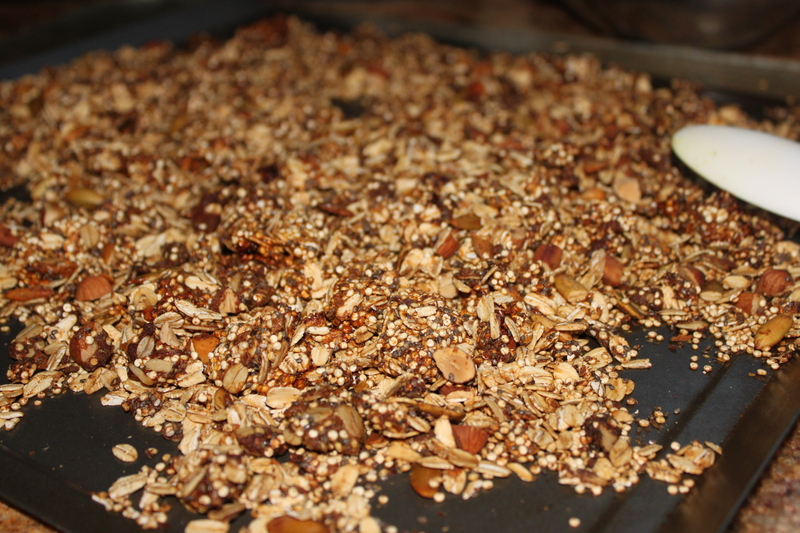 Remove the granola and make sure the oats are golden (that indicates that they are completely toasted). 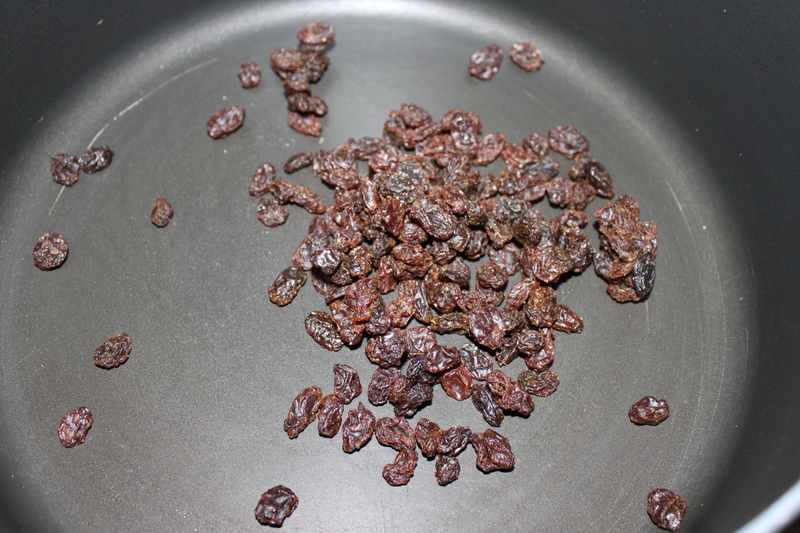 Cool for about five minutes and then mix in with the raisins. 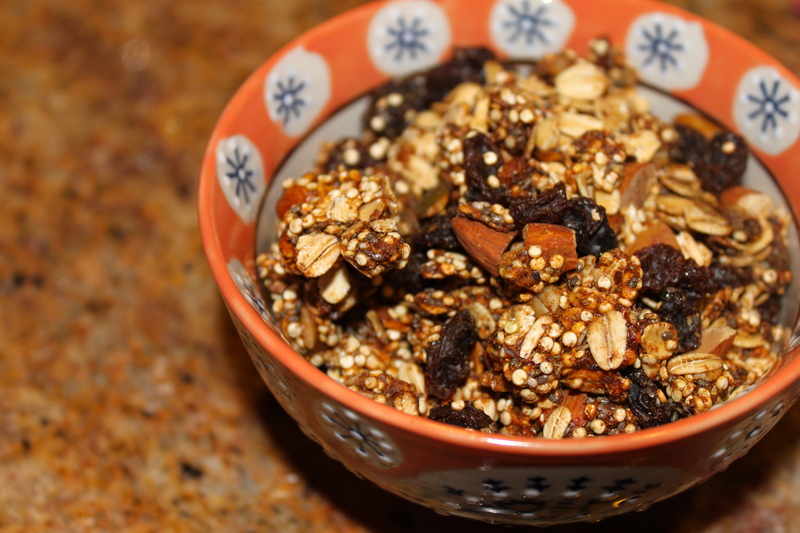 The hot granola with melt the raisins a tiny bit, helping to form even more granola clusters! 8. 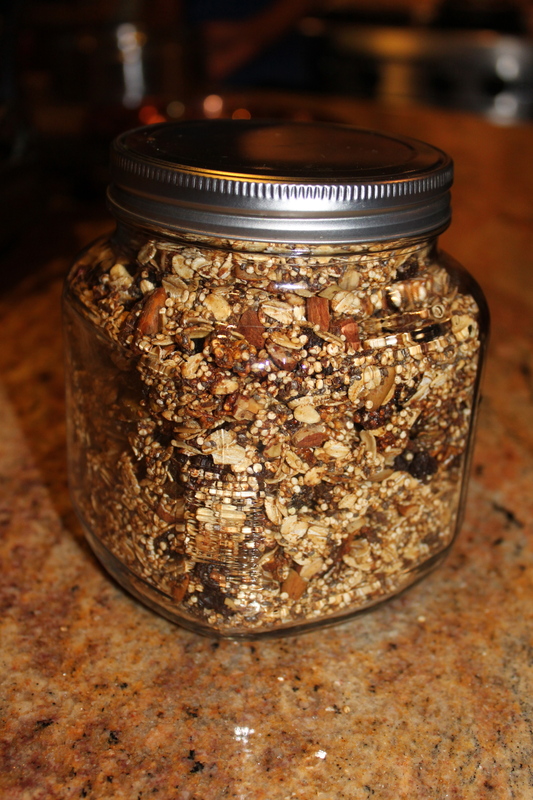 Let the granola completely cool and then store in an air-tight container. Enjoy! !